Arpita Kapoor, founder and chief executive of mobile gaming startup Mech Mocha is very clear about the company’s focus -- to build games for Bharat in native languages. The success of games such as Chhota Bheem, Jetpack Joyride and Hello Ludo, the latest launch, is validation that the strategy is working. Kapoor, 27, founded Mech Mocha in 2014 with IIITM Gwalior batchmate Mohit Rangaraju. The startup has raised about $6 million so far from investors such as Blume Ventures, Accel Partners and Shunwei Capital. TechCircle reported last month that the company is in line to raise a $10 million Series B round from new and existing investors. Were consumers in Tier 2 and 3 markets always a focus for Mech Mocha? Initially, with games like Jetpack Joyride, we did try catering to audiences in the metros and in global markets. However, I believe that the opportunity in tier 2 and 3 markets is so big that we could not ignore it. The needs of this audience are different and the competition is still figuring it out and, I believe the local developers are better placed to understand these markets. It’s more to do the opportunity than the choice. I think the urban audience is well positioned to consume the global games while Bharat needs a build of its own. There are not many companies that are building interactive content for this user group. We have thus far seen very few ground-up innovations for this market. How large is the market opportunity? The top-of-the funnel mobile users would include a maximum 60-100 million people while the 400-500 million below them are the ones comfortable with local languages. They have not played any PC/mobile console games and are waiting to be tapped. The market opportunity is very clear as far as sheer numbers go. For example, the quality of Jio’s connectivity and network is better in most villages than cities. Also, the tier 2 and 3 audience, we believe, has more time to allocate for entertainment as opposed to people in the midst of a hectic city life. Tell us about your recent user growth numbers. We got a lot of traction right from the first game developed for this audience, Chota Bheem: Himalayan Trip. Even today, we have over eight million downloads for that game. With Hello Ludo and two of our newest products, which are in beta, we have seen that people are ready for localised entertainment. We will be developing more platforms and not just individual games. Scaling each of them and reaching out to a larger audience -- user growth in other words -- would be the top goal. This should take a little over a year. Post that, we will explore opportunities to monetise a certain percentage of the users by building those features across our portfolio. For example, we are looking to add more games on to Hello Ludo, our newest offering, in an effort to make it a platform. As with any gaming platform, we will look to unlock the potential of in-app purchases while advertising. It’s a given for a platform like ours where high DAU (daily active users) will be a deciding metric. Our experiments have revealed that the Indian consumer is ready to pay for stuff in which he or she sees value. We may provide some premium features to our top tier users who would not mind paying and give out the basic freemium version to everybody. Given the curve at which our audiences is growing, we will be looking to monetise from around 5%-10% of our audience. Globally, most gaming companies are able to monetise their product effectively and some of them do not even go on to raise any external funding after their Series C round. Do you think this audience will be willing to pay for features? From our observation, we have seen that this audience group is very smart and clear about what they want. They will not pay for features or stuff that are cosmetic or gimmicky in nature. If incorporated with the right value addition, sachet pricing and trust mechanism along with functionality, I don’t see any reason why this audience will not pay for it. We will have to design our IP (intellectual property) around it. Our team has been interacting regularly with users to crack this play book. The users have also been very communicative and take a lot of interest in giving feedback on our products. We did not expect this level of interaction from this user set. Will Mech Mocha focus only on casual games in smaller sizes? We have not set any such restrictions for ourselves. For example, we know for a fact that there is a huge market opportunity for shooter games and racing games, which are usually larger in size. We are currently focusing on things that are differentiated because we are a start-up. However, if and when we do develop such a game, it would perhaps be the 30th or 40th thing we do and not among the top priority. But before all that, we should have a unique product in the space. How has the digital gaming market here evolved over the years? While I cannot attribute it to one reason, I would perhaps say that the period that followed six months after the launch of Jio was the singular most important event that gave a huge fillip to the digital gaming market. It gave everybody the opportunity to build multiplayer games. When you build multi-player and social games, they obviously work better in terms of entertainment as well as monetisation. The space saw some local successes which were an early validation for the creation of such games. Likewise, global developers like Tencent are setting up shop in India. All these factors played an important part in taking the space one step closer to where it should eventually be. The only concern is there are fewer new players getting into this space. Sometime later, as we grow up to a certain size and scale, I would even want to set up an incubator and encourage more players to come up in this space. Is mobile gaming the largest market within digital gaming? Within the large mobile gaming umbrella, one can perhaps split the space into genres like fantasy gaming, real money, casino and all other kinds of categories. So when one talks about the digital gaming space in India, it is invariably the mobile gaming space. Who’s your competition? Nazara, Moonfrog or even Tencent? The way this market has evolved, today we are certainly competing with them. At this point, if you look at the market where we are focused on, I would very say there is very little or no competition. If anything, we look at interactive vernacular social platforms such as Vigo, Sharechat and Vokal as our bigger competitors in the larger interactive entertainment space. It’s all about the stickiness and the user base. 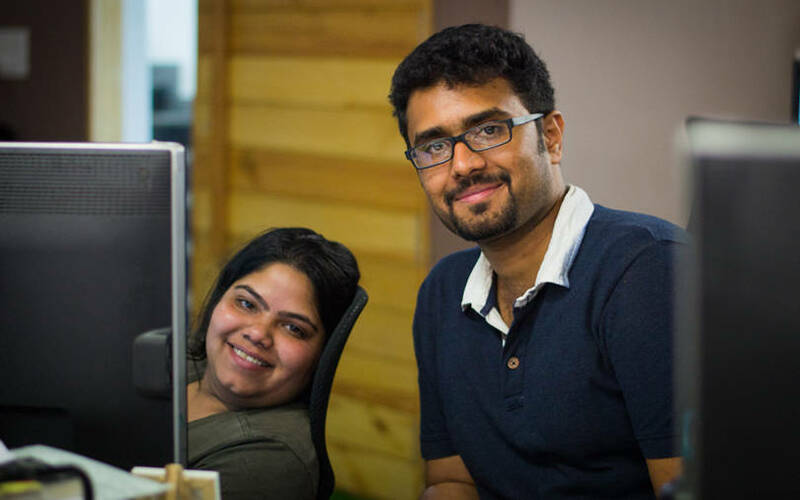 Newer gaming companies like MPL (Mobile Premier League), which recently received funding are a welcome addition to the space as they are also India focused and into casual gaming. There is also 99 Games, based in Udupi (Karnataka), but who were earlier catering to the local market but now focus on a more global audience. But if and when they refocus on India, they will be a very good competitor to contend with. Nazara had a significant inorganic element to their growth story. Will you consider taking that route at some point? We would definitely consider that route when we see good teams and good products, particularly the ones that might have fallen into difficult times purely because they are unable to raise funds to fuel their growth. We do evaluate such companies from time to time more for acqui-hires rather than acquisitions. We are in a high growth trajectory and there is a possibility (for acquisitions). Investors from Southeast Asia and China seem to understand the potential of gaming here better. Do you agree? That (their interest in digital gaming in India) is quite obvious now. Their approach to scale and investment is very different. These have obviously seen similar growth stories in their own markets and also perhaps tend to draw a similarity. They understand the power of localisation and making products for the local audience better. It also helps that they have a lot of capital at their disposal and are willing to partner with Indian investors. Do you have plans to diversify into other areas such as fantasy gaming, e-sports? One of our products in the beta stage is in the e-sports category. We are also exploring to cater specific products for women, who account for nearly 60 million- 70 million of the smartphones users. But our games have been part of e-sports tournaments conducted by other organisations like Amazon and Nodwin gaming in India. Will cross-border partnerships be a mainstay of your business strategy? Besides Halfbrick (an Australian company), we also have a partnership with a Chinese company called Chukong for developing one of their games, which we will be launching it here soon. Going forward, we will forge only such partnerships that have a huge potential for localisation. Besides, we also have our own portfolio. The Jetpack Joyride (in collaboration with Halfbrick) game has been doing really well with over five million downloads. What’s the current headcount at Mech Mocha? We are about 55-plus and growing. We believe in staying smaller and leaner. As a digital company, that’s the power one has. You really don’t need operations, sales and account management. We prefer to stay as small as possible. The development team accounts for a majority of the workforce.